What´s the good brand of battery charger? the duracell jump starter drljs20, black and decker bc15bd and schumaker sc3 and 9 they are good? Do you want a jump starter or a battery charger and what is it you need it for ? The Duracell DRLJS20 Portable Lithium Ion Car Jump Starter seems quite good .A friend just bought a similar unit from QVC last week for his wife to keep in glove box .Check the reviews and see what best suits your requirements . 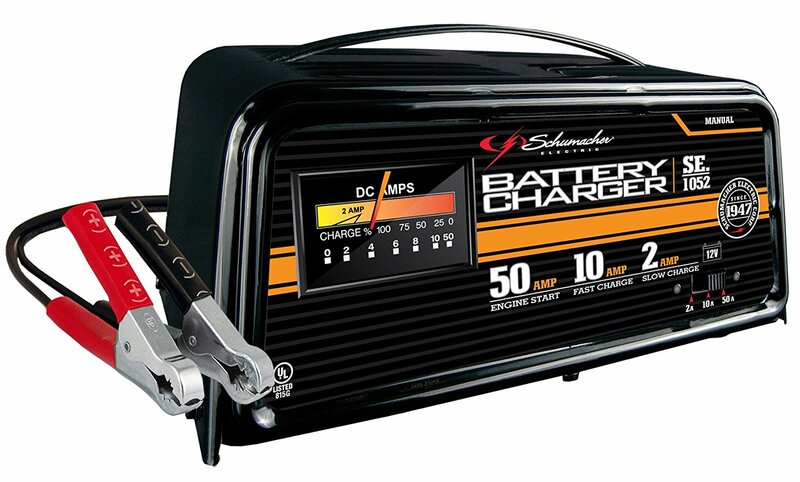 Here's a good batter charger. Edit..I don't know when AutoGuide decided to start goofing with the Amazon links on the forum. I apologize. Any idea why this applies ( below ) ? Looks a good charger , does everything needed .Similar to an older model I have which weight is very deceptive for its size .Also have a heavy duty power pack which comes in handy .
" This product cannot be shipped to Oregon or California. " I can answer that. Read an article a few months ago that California and Oregon now require battery chargers sold in their states has to be more energy efficient. These old type transformer chargers are power hungry.